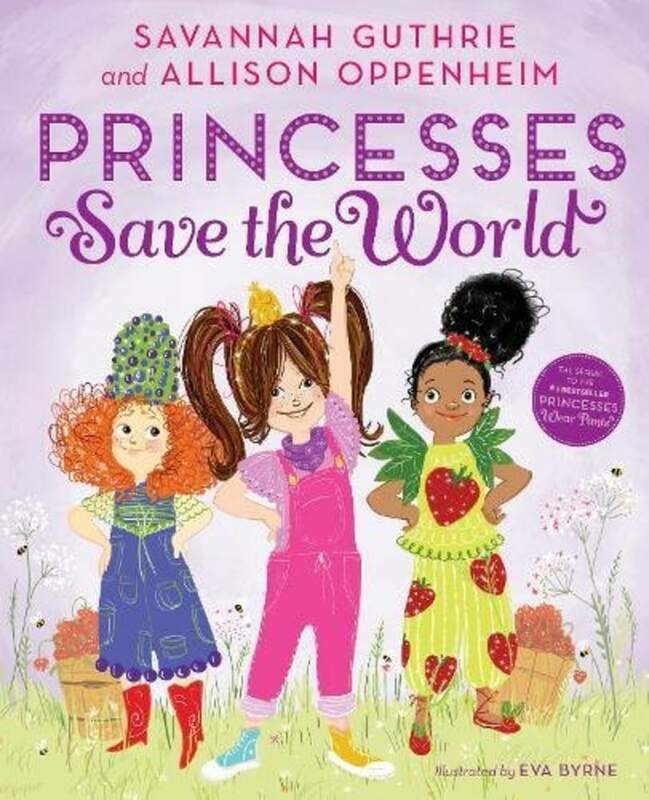 Savannah Guthrie has new book, "Princesses Save the World"
Princess Penelope Pineapple is back, and she’s ready to save the world with her friends! TODAY anchor Savannah Guthrie gave us a sneak peek Tuesday of her second children’s book, another collaboration with Allison Oppenheim. The pair send a powerful message to young girls in their newest creation, "Princesses Save the World." The book is a sequel to last year's best-seller, "Princesses Wear Pants,” which helped teach young girls that their actions matter more than their looks and what they wear. This time around, Princess Penelope jumps into action when she gets a distress call from Princess Sabrina Strawberry and learns that the Strawberry Kingdom’s bees have disappeared, jeopardizing the future of the precious fruit. Princess “Penny” enlists the help of her fellow Fruit Nation princesses to come up with a solution. "They are confronted with a problem that needs a fix and they work together to solve it," Savannah explained Tuesday. "I really like that message of girl power, girls really cooperating not competing." Savannah also noted the important message that the authors aimed for through the vibrant illustrations. "We wanted to celebrate diversity and celebrate every kind of girl because we’re hoping that any young girl could pick up this book and see themselves somewhere, not just physically but also in who are these girls and what are they about," she said. "Again, it’s about being a young lady of substance." In addition to teaming up with Oppenheim, wife of NBC News president Noah Oppenheim, Savannah is also working with Drew Barrymore and her Flower Films production company to make an animated show based on Princess Penelope and her friends. The project is currently in development with Atomic Cartoons. Savannah said her work with Barrymore, whom she first met during a TODAY interview, came naturally. "She’s just the most darling woman and she’s also, to me, an example of women who support other women," she said. Savannah said she hopes the animated show has "a happy empowering message for everyone."